Welcome to Day #25 of South American Chocolate Theme Weeks. 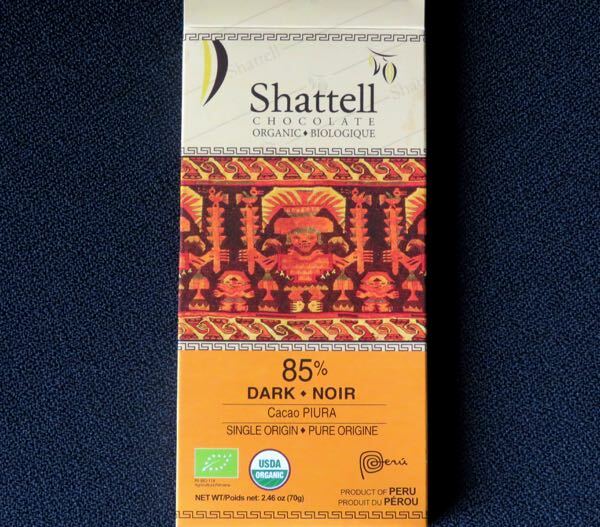 Today's Shattell Chocolate 85% Dark (Noir) Cacao Piura Single Origin bar was produced by Qulinaria Peru S.A.C. (Lima, Peru). 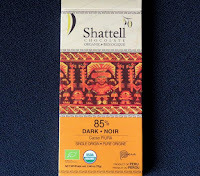 Shattell is an "artisan chocolate factory" located in Lima that specializes in making craft chocolate from beans grown in the Peruvian Amazon. 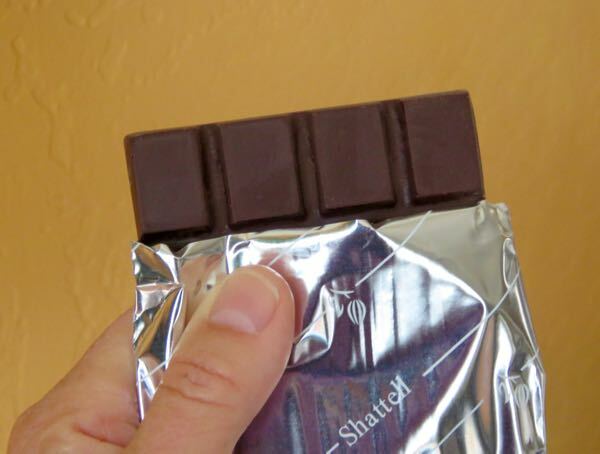 The cacao used to make this organic bar was grown in the Piura region of Peru; and the bar was a product of Peru as well—rather than coming from an American or European maker. Piura is a coastal region in northwestern Peru, one of several regions where cacao is grown in a country that has seen cacao production climb significantly in the last decade. Today's ultra-dark Piura bar had an aroma with roasted coffee, acidic dried fruit (dried cherries, raisins) and cocoa notes. The taste was smoother than the bold aroma, with not as much of an acidic bite and/or bitterness as expected. It did have a slight coffee aftertaste. The texture was relatively creamy and uniform.